Savannah Resources Plc (LON:SAV) Chief Executive Officer David Archer caught up with DirectorsTalk for an exclusive interview to discuss the robust lithium intersections at Mino de Barroso, how this plays into the bigger picture and what investors can look out for over the coming months. Q1: David, we saw on the news this morning that more robust lithium intersections have been found in your project in Portugal. Can you talk us through the highlights please? A1: I think they certainly do underscore that Savannah Resources have the largest spodumene lithium resource in Western-Europe and the results themselves have been very encouraging, they go to emphasise that we continue to get very good widths and very good grades of lithium mineralisation. So, these results mean we’ll be able to convert our exploration target to a resource in terms of bringing some of those tonnes from the exploration target over into a resource. It also means that we’re increasingly the categorisation of the resources at Mino de Barroso, so we should be able to move a lot of our current resources into the measured category which is a very important feature for our feasibility study. Q2: What is the purpose of this drilling? A2: Really to particularly work towards increasing the size of the resource and to increase the resource categorisation so this will be very very important information that will go towards the delivery of our feasibility study in the early part of next year. Q3: As you’ve already mentioned, this is already the largest spodumene resource in the Western-Europe, how does this play into the bigger picture? A3: I think, in the bigger picture, I suppose it’s within the European context and what this really means is there’s a material resource of lithium in Portugal that can anchor the European lithium value chains. So, strategically, this is a very very important resource for European industry, European car manufacturers are a vital element in the health of the overall European economy. We believe that we can provide a resource platform that will help support the move of the European car manufacturers into the electric vehicle space. So, this project really punches above its weight and is strategically very valuable because of its European context. 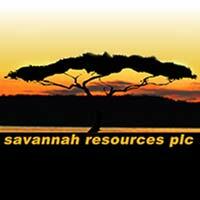 Q4: Looking ahead, what work programmes or news flow can investors look forward to from Savannah Resources? A4: I think it’s going to be a very busy second half to the year. We’ll be looking at resource upgrades in terms of our existing 14.1 million tonnes resource, increasing that further, we’ll also be looking to give further definition around exploration targets and we’ll be testing some of the other deposits on the mining lease. Of course, there’s certainly the potential to strike strategic partnerships with major industrial groups in the lithium value chain and in the immediate short-term, we’ll be looking to announce the formal kick-off of a full feasibility study for the project. So, a very full calendar of potential news items in the coming months.